In accordance with the Great Commission, Redeemer strives to bring the gospel – the free grace of God through His son, Jesus – to others, both locally and internationally. We believe this is best accomplished through strategic partnerships with like-minded church-planting organizations and individuals. This allows us to foster long-term relationships, effectively maximize our resources, and provide opportunities for all members of the body to be involved in the outreach work of the church. Redeemer is currently involved in several partnerships around the globe. You can read more about these partnerships below, and continue to discover and support them through the websites included. Redeemer Oakdale is currently searching for Local Non-Profit Partners who are doing incredible work within the Oakdale area to partner with! So stay tuned! A Global Partner meets the criteria of Redeemer’s goal for global missions in that they are involved in holistic mission that engages in church planting and church planting that engages in holistic mission. Global Partners consider Redeemer their primary sending church and desire a two‐way partnership where they receive regular emotional, prayer and financial support from Redeemer and in return provide regular updates, visit Redeemer during furloughs and are open to the possibility of hosting short‐term teams/visitors from Redeemer to encourage and work alongside them in the field. Ben & Aubree are in the Middle East working with a team operating a medical clinic for the local refugee population with the overall goal of seeing a movement of the Gospel in the local population. Ben will work as a doctor in the clinic, and Aubree will help train local families who have children with special needs on how to better care for their children. Pray for Ben in his local work at the hospital and in the lives of the men in whom he’s investing — pray for fruitfulness. Luke & Amber are currently serving as long-term staff for EFCA ReachGlobal and are serving in Tanzania Africa. They live in the city of Dar es Salaam with their children Adi, Jude and Ezra. 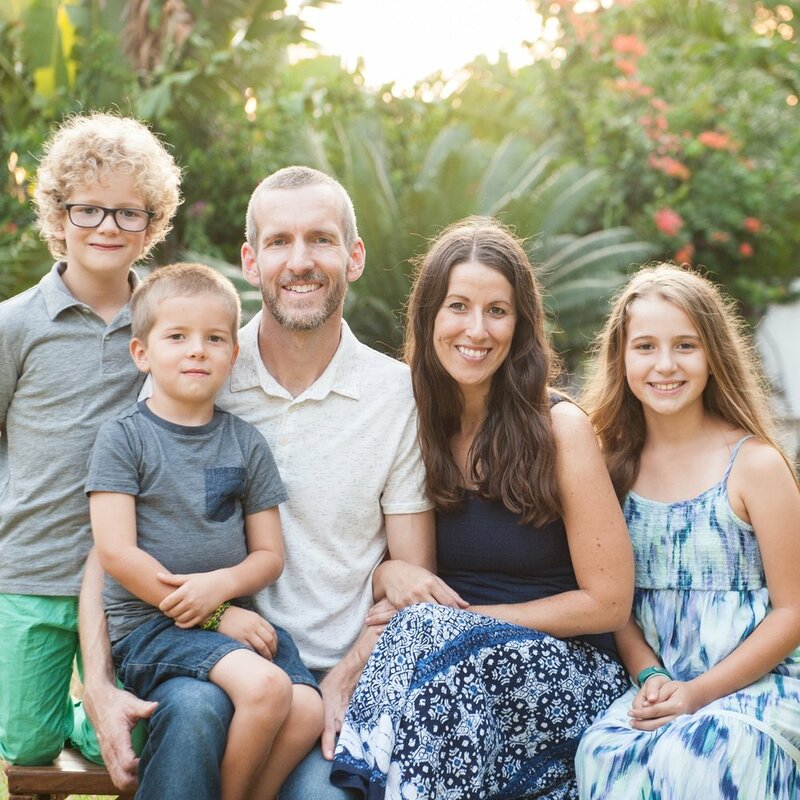 Luke and Amber work alongside local leaders in a variety of ministries in order to produce Gospel movements that are sustainable and reproducible, and ultimately will produce disciples of Jesus Christ and build the Church in Tanzania. They are currently working with church planters, a job training and business development center, and a school for children with disabilities. Additionally, since they believe that healthy transformational churches are key to the Gospel being rooted and disciples being made, they are committed to supporting and serving in their local church in Dar es Salaam. Luke also provides leadership for the ReachGlobal City Team in Dar es Salaam, which is made up of four distinct ministry focuses. Dave & Kate along with their four children have been serving in Nicaragua for the past seven years. They are in partnership with Missionary Ventures and focus on discipleship through operating a Vocational School and partnering with various indigenous ministries. Their mission is to build leaders and empower the local Church to show Nicaraguans how the Gospel affects every aspect of their lives. Pray for God’s peace to reign in Nicaragua, in the wake of the government cracking down on peaceful protests against unfair legislation. Travel to the States during June and July 2018 — pray for Nya, that her immigration documents can be processed quickly and easily. Conor & Koren are currently serving in Chernigov, Ukraine. They have 3 wonderful kids Gavin, Emma and Arden. Conor is originally from Maine and Koren is from California. They are serving in their second church plant and long to see more churches planted in Ukraine. Conor is the lead pastor at Christian Bible Church in Chernigov. Please pray for the power of the Gospel to save and transform lives and that more Gospel centered churches would be planted all across Ukraine for the Glory of God. Pray for the youth outreach this spring and summer. They are starting a new ministry to reach students ages 12 to 16 with the gospel. Their church is doing a weekly after-school program and will do a summer camp. They want to get to know the kids and make sure they know how loved they are by God! Pray for their leaders-in-training as they start to teach more and lead ministries (Sasha and Losha). A Global Friend is someone who has a heart to serve God globally and is a friend of Redeemer. Redeemer commits to pray regularly for our Global Friends and seek ways to connect the body of Redeemer to the work that God is doing through them. Madison is in the process of applying and being trained by Beautiful Feet to work in a women’s home in Nigeria called Grace Gardens. This home serves women and children who are victims of sexual abuse and human trafficking. Madison will be helping the local staff disciple and tutor the women and will help the women learn new skills to support themselves. Pray for Madison this summer as she will be gone at a 2-month pre-field training at Beautiful Feet, her sending organization. Pray for support-raising, that it would be faith-building and encouraging to her. Pray that God would be preparing her in every way needed — in her mind, her spirit, her emotions — to move to Nigeria and engage with these women and children in a meaningful and Christ-centered way. Peggy Arendt is a missionary with ReachGlobal, living in Spokane, WA. As a member of the Community Development team, she travels globally to provide Biblical Worldview training, equipping and consultation for missionaries and national ministry partners. This training equips the local church to be an expression of the Kingdom of God as an agent of wholistic, sustainable community transformation. August 1-11 | Peggy will be at the ReachGlobal Latin America and Middle East Conference in Costa Rica. Please pray for the workshop on Biblical Worldview that she will be leading. Pray also for good relationships and connections with her field missionaries. August 15-27 | She will be in Indonesia, leading a team from her home church in Spokane. Pray that they will be an encouragement to Christian Indonesian library workers as they teach English and add value to the work they do in their communities. Pray for the five additional team members as they leave families at home and go to Indonesia for the first time. Peggy's son and his wife are expecting the birth of their third child in late August. Ask God to provide all that they need and for a healthy delivery for mom and baby. Hollie Applegate is working this summer as an intern for Trek-X, an organization that facilitates short term mission trips. She is in Puerto Rico for six weeks to lead five different short term mission teams (youth groups, college groups, etc.). Every week Trek-X partners with a different church plant and serves the surrounding community (depending on the church’s needs). A lot of the current work is very practical service because of the destruction from Hurricane Maria. Wisdom for interns to facilitate visiting teams and disciple them to serve as Jesus’ hands and feet in the surrounding communities. Redeemer Oakdale © 2018. All Rights Reserved. Redeemer Oakdale partners with church planting network Acts 29.